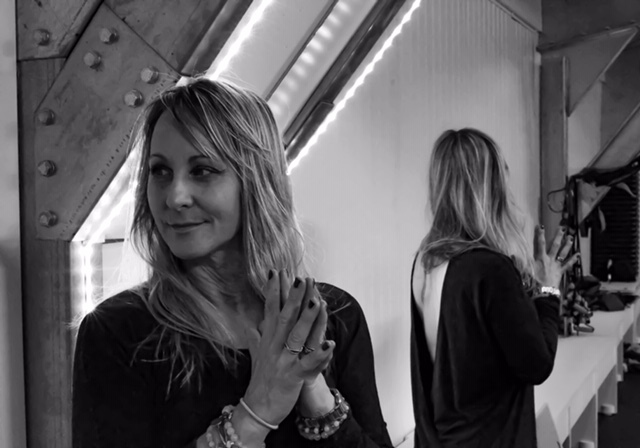 Raquelle came to yoga from a career in the music industry. A way to maintain her integrity, free her spirit and lighten her load, yoga was her saving grace. With love in her heart and playlists, she encourages her students to let go, be free and have fun whilst exploring their minds, challenging their bodies and most of all learning to love themselves in every way. Jodie's Vinyasa Flow style classes are free-spirited, challenging and restorative all at once. With a decade of teaching yoga and a fierce dedication to her own practice and self development she shares her knowledge and experience in powerful and intelligent sequences, supported by a wealth of anatomy knowledge, breath work, intention setting and a deep belief that as we release the tension in our bodies we unravel the stories of our souls. A former martial artist and dancer, Talia decided to try Yoga at her local gym. 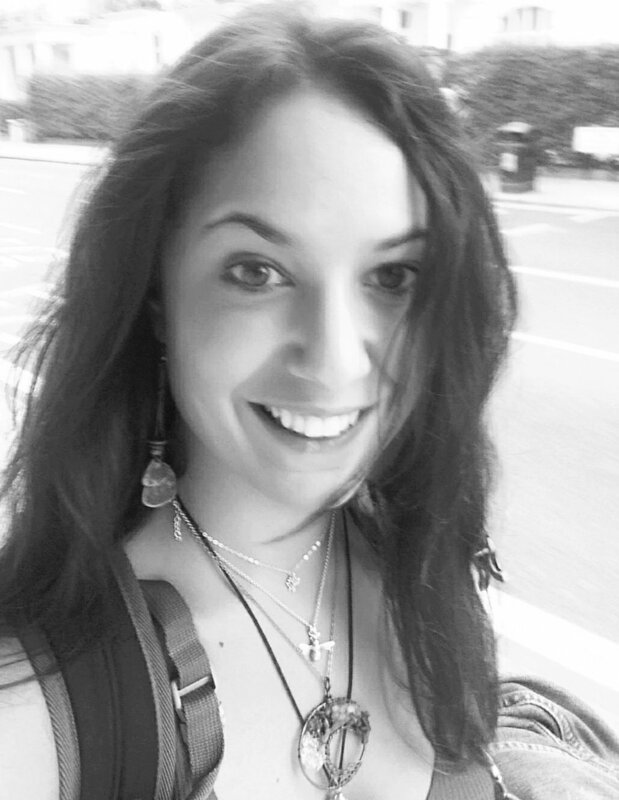 After falling in love with yoga, Talia realised she could help others to fall in love with this beautiful form of exercise for the body and mind. Steph teaches with a giant smile and a genuine love of yoga. Coming from a deeply honest and authentic place in her heart, she teaches with wild enthusiasm and innovative flow. A former ballerina, Feyza focuses on encouraging her students through beautiful flows and creating positive energies within their beings. She combines strength and challenge with her honest and authentic original writings. A truly inspiring story, Tracy has been saved by yoga and aims to help others in the same way she was by sharing her love, experience and heart in her classes. Full of passion and energy, Nicole deepens the connection between body and mind in her challenging but positive classes. Earth mama yogini teaches with passion and love. Using a mix of breath work, spirituality and the fringe method Vinyasa, Rafi helps mum's to be to find a connections with themselves as well as their babies. Lyndsey has been teaching at Fringe for just over a year now after completing her FYTT in 2017. Lyndsey loves the strength that her own body and mind gains from yoga so tries to bring that quality to her classes with an energetic and powerful start to a Monday morning. With a background and career in dance Lyndsey loves the creativity to play about with different choreography all the while mixing it up with a funky soundtrack to turn the heat up in the room! A big thank you to Jodie for being the most amazing teacher and starting me on my yoga journey! My classes are strong with a big foucus on creating a firm structured within the body. As well as teaching yoga I design and make furniture mainly using metal and concrete. I am attracted to things that create solid structure and foundations that last. As with so many yogi’s living in today’s fast paced, western world Hannah found sanctuary and strength in Yoga at a time of great difficulty. She pursued her path of healing, both physical and spiritual to India where she fell in love with Yoga asana, philosophy, anatomy, mediation, mindfulness and the magic of the east. Something she is now passionate about sharing with the people around her. I have been practising yoga for 20 years, it has become my best friend, helping me through many challenges and obstacles that life has thrown at me! It has made a difference to my life, I would love to share it with you, to fall in love with taking care of yourself, mind, body and spirit. Yogini Vee has 20 years meditation experience and this comes across in her yoga classes. The spiritual aspect shines through in her meditative savasana for total relaxation after a signature FRINGE flow. Liz is a busy mum of 2 and yoga helps balance her busy schedule. Her background is in education and continues to teach PE and support her students with their emotional well-being. She teaches using the Fringe method and uses her knowledge of anatomy alongside the chakras to enhance her classes. She brings passion and energy to the mat, allowing yogis to escape, connect and grow. Liz is keen to work with all ages and abilities but specialises in beginners, teens and getting people to let go! After 4 stressful years of working in the veterinary profession, Chloe decided to follow her dreams and become a full time yoga teacher. Chloe teaches following the fringe method, working with the elements and corresponding chakras. Her classes are fun, free spirited and offer a safe environment to breathe, move, be still, and come back home to yourself. Regardless of whether you’re a beginner or a veteran on your mat, there will be something for you in Chloe's classes. I completed my first 200 hour teacher training in Los Angeles at the Yoga Works studio and also trained with the amazing Fringe Yoga studio learning their method and style of Yoga. Each of my classes are varied and I always try to find new ways to challenge both the mind and the body with creative sequences and meditation methods. I teach a weekly Rise and Shine yoga class here at Fringe focusing on energising the body along with great music and like to make sure everyone is having fun and not taking themselves too seriously! Each class ends with a savassana helping you to switch off and relax. 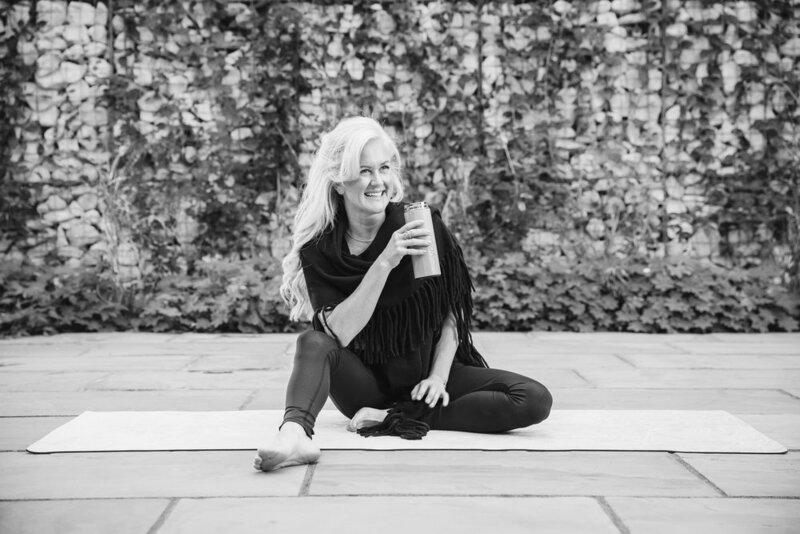 Having worked in the health and fitness industry for over 18 years as a personal trainer, fitness and nutrition coach, Claudia combines her knowledge and experience with her love of yoga to provide classes that include the traditional aspects of Hatha Yoga such as Pranayama, meditation and Asanas with Vinyasa flow sequences. Helen believes in strong and steady flows, embodying the elements with a gentle focus on anatomy and body awareness. Vanessa teaches a heartfelt practice with a deep focus on breath and alignment. Holding a space with individuals to open, reflect and absorb. You will be sure to come out of her class with a smile as big as hers. Emma is a busy working mum of three young girls and keeps her sanity with her hectic lifestyle through her yoga practice. She teaches the Fringe method, linking her classes to the elements and associated Chakras. Warm and friendly with a yoga practice spanning a couple of decades Emma's classes are relaxing and fun allowing you to truly escape for some me time. Robyn was drawn to Yoga in 2012, first trying a class at a local gym in East London. The class left her curious to learn more. Her passion for health, mindfulness and living in tune with nature, translates into classes that aim to invigorate the body, and deepen the connection to our hearts. Robyn believes that by letting go of tension, we can heal our body, mind and souls. I came to yoga a very long time ago or yoga came to me these days I'm not sure which way round it happened. Jivamukti Yoga was a more recent discovery,I remember my first class and felt like I'd come home. Jiva means individual soul,Mukti means liberation.A Jivanmukta is one liberated whilst still alive. Jivamukti was created by David Life and Sharon Gannon,it integrates traditional yoga teachings with a vibrant and contemporary approach,which is relevant to our modern lifestyle . The practice cultivates strength,stamina,flexibility and concentration. My classes are centred around contemporary knowledge of mental and physical wellness, however with guidance from the ancient Philosophical traditions of the practice, which I am passionate about. Asana (poses) are a joyful part of a lifelong journey, to cultivate a Yoga mindset, on and off the mat. Fringe trained Lauren really embraces the fringe.method when teaching, she leads an energetic class whilst keeping with the spirituality and grounding of yoga. Lauren fell in love with fringe.yoga two years ago and started training straight away, she has found that yoga has helped her find balance within her busy family life and enjoys sharing this with others.